I put in an order for some goodies from across the pond. I’ve been wanting to try NYX Cosmetics for ages, but just haven’t gotten round to it until recently. I scoured the net to find the best sites to order from (without the extortionate international postage charges) and it was a toss up between MsCuppyCakes & NonPareilBoutique. After adding the products I wanted to both baskets, MsCuppyCakes had the edge on overall cost thanks to the fantastic shipping charges and current unbeatable offers on the Loose Pearl Eyeshadows. I also found the website easier to navigate. To be fair, NonPareilBoutique slightly had the edge on range of products that were instock so I may end up back there to pick up a couple of bits if MsCuppyCakes don’t stock them. 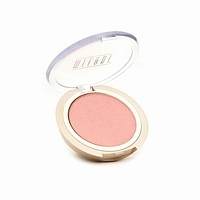 I really, really want to try Milani’s Mineral Blush in Luminous which NonPareilBoutique had listed on the site, but for some reason it wouldn’t let me add it to my basket – gutted about that. 1 Slim Lip Pencil in shade Plush Red (to go with my Chaos lipstick if the shades match up well enough). Total inc. shipping came to: $26.15 (how bargainous is that!) which should just about keep me under the Import VAT threshold as long as it doesn’t get overinsured by the seller (one of my pet peeves!). 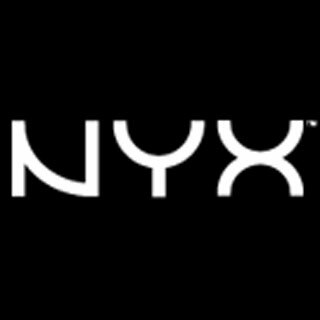 I’ll be back to let you know how MsCuppyCakes performs as an international distributor for NYX cosmetics! Looking forward to receiving my goodies, I shall do swatches and reviews when the parcel lands on my doormat. ‘Cited! P.S. – If you have any recs for US online cosmetic boutiques with reasonable international shipping – please let me know about them, I’m always on the hunt! i was just wondering if you got charged import tax when you received your items! I’m eternally confused by import taxes. No I didn’t get charged on that order amount. I know the limit if ordering from outside the E.U is £18 (which currently converts to around $28), but I don’t know if that limit is just for the goods or if it also includes the shipping cost (which would be very prohibitive in some cases). I’ve just made another order from the U.S totalling $30 ($4 of which was shipping) – so if I get stung, then I’ll know for the future that the £18 limit has to include shipping too. ah it helps a lot! maybe ill just order only up to $28 just in case..although do let me know how what happens! sometimes you get lucky..sometimes not! Just reporting back quickly to note that I didn’t get charged import on the $30 order either… so it looks like the shipping cost isn’t included in the threshold until the items themselves have surpassed it – confused? I am!